Line a Jelly Roll Pan with foil and lightly spray with cooking spray. Add asparagus and drizzle with 1 tablespoon olive oil. Add 1 minced garlic clove, 1/4 teaspoon salt and 1/8 teaspoon pepper. Toss until evenly coated then line asparagus in a single layer. Roast for 4-6 minutes depending on thickness. While the asparagus roasts, remove the tails from shrimp. Remove pan from oven and drizzle with lemon juice. Season with additional salt and pepper to taste. 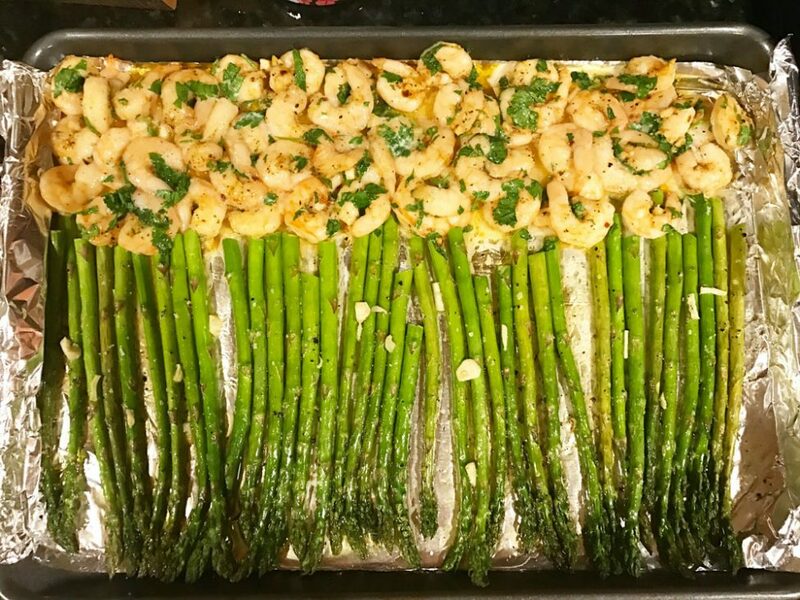 You can serve with rice and pasta, but honestly we just ate the asparagus and shrimp.